WASHINGTON (AP) - Looking for positive lessons to draw from the shooting death of Trayvon Martin, President Barack Obama said Friday the nation needs to do some "soul-searching," look for ways to bolster African-American boys and examine state and local laws to see if they encourage confrontations like the one in Florida. The president said it's time "for all of us to some soul searching," but he also said it's generally not productive when politicians try to orchestrate a conversation. On the positive side, he said race relations in the United States actually are getting better Looking at his own daughters and their interactions with friends, the president said, "They're better than we are. They're better than we were." The widely followed case led to discussions about race and U.S. self defense laws. Obama, the first black American elected president, rarely speaks about race. Martin was black. 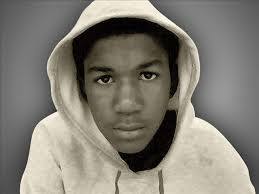 But he said state and local laws, such as Florida's "stand your ground" statute, need a close look. And he raised the question of whether Martin himself, if he had been armed, "could he have stood his ground on that sidewalk" and shot neighborhood watch volunteer George Zimmerman if he felt threatened when being followed. Obama, who early on had said that if he had a son, the boy would have looked like Martin, on Friday drew an even more personal connection, saying that "Trayvon Martin could've been me 35 years ago." He said that as people process the Zimmerman verdict, it's important to put the angry reaction of many African-Americans into context. Protests and demonstrations, he said, are understandable, adding that "some of that stuff is just going to have to work its way through - as long as it remains nonviolent." He said that distrust shadows African-American men, that they sometimes are closely followed when they shop at department stores, that they can draw nervous stares on elevators and hear car locks clicking when they walk down the street - experiences that he personally felt before becoming a well-known figure.